Updated: 5:30 p.m. | Posted: 11:55 a.m. The Superior National Forest has approved a land exchange with PolyMet Mining, clearing the way for the development of the state's first copper, nickel and precious metals mine — provided the company receives other pending state and federal approvals it needs to begin construction. 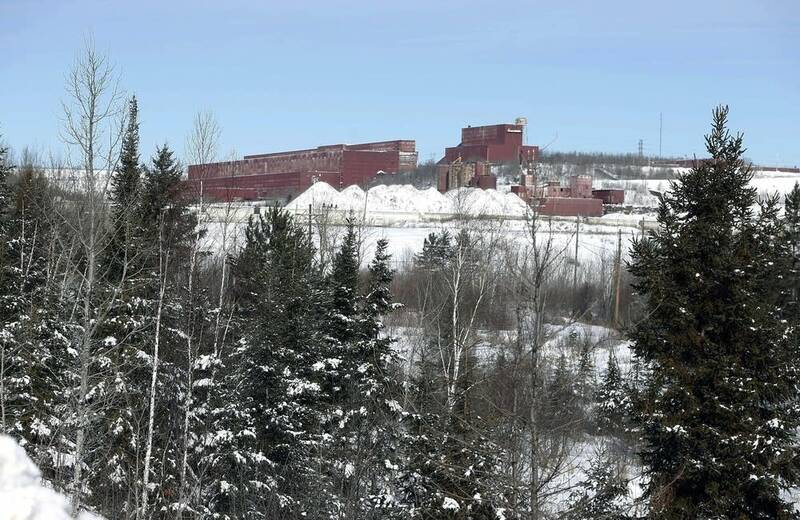 According to the record of decision, the Forest Service will convey 6,650 acres of federal land to PolyMet that the company needs to build the mine. The company controls the mineral rights under that land, but did not own the surface property. In exchange, the Forest Service will acquire 6,690 acres of non-federal lands scattered throughout the region. PolyMet CEO Jon Cherry called it a big day for the Toronto-based company, comparable to its acquisition of the ore processing plant it plans to use near Hoyt Lakes and the issuance last year of the final Environmental Impact Statement that cleared the way for the company to seek permits. "We've been working on this literally for almost 10 years," he said. The land exchange settles a major difference of opinion between PolyMet and the Forest Service. The Forest Service believed an open pit mine was not permissible on its land. But PolyMet argued its subsurface mineral rights gave it the ability to mine. Superior National Forest Supervisor Connie Cummins said the disagreement would likely have gone to court. "When we weighed it all we felt it was in the best interest to go ahead and exchange the land and not be put in the situation where we may end up with a surface mine on public land," she said. Cummins said she weighed a complex mix of environmental and social factors in making the decision, including the potential economic benefits of a mine, and the government's trust responsibility to Indian tribes. She said the lands the agency will acquire in the swap feature many acres of wetlands, including one area that will become a research natural area. But there has been intense opposition to the exchange from Indian tribes and environmental groups. The Forest Service received over 22,000 objections to its draft decision to approve the exchange. "The decision to transfer thousands of acres of Superior National Forest land to PolyMet right now is a bad deal," said Aaron Klemz, spokesman for Friends of the Boundary Waters Wilderness. "It's premature, and it's not in the public's interest." Klemz argued that until PolyMet demonstrates it can meet federal and state law by receiving the permits it needs to operate, the land shouldn't be exchanged. And the pollution risks that PolyMet poses are the same, regardless of whether the mine is located on national forest land or private land, said Kevin Lee, staff attorney with the Minnesota Center for Environmental Advocacy. "All those risks are still there, all those risks for clean water, the necessity for perpetual water treatment, and the risks that some of those costs are going to be shouldered by taxpayers," he said. PolyMet argues that the project's lengthy environmental review already demonstrates it can meet air and water quality standards. That debate will continue in the mine's permitting process, with ample opportunity for public input, said company Vice President Brad Moore. "In reality, that is not related to the actual function of the land exchange itself," he said. PolyMet will need more than 20 federal, state and local permits before it can begin construction, including the major Permit to Mine from the state Department of Natural Resources. The company expects regulators to begin issuing draft permits around the middle of this year. "But this shows in a large way for the PolyMet project that the state of Minnesota, with consent from the federal agencies, wants to attract investment to our state, not chase it away," said Frank Ongaro with the industry group Mining Minnesota. The decision from the U.S. Forest Service opens the door for potential lawsuits. Environmental groups said they're still reviewing the decision. "We're certainly keeping all our options open, including legal options," said Klemz with the Friends of the Boundary Waters Wilderness, "as we look at this decision and the impact it would have on the Superior National Forest and downstream communities."